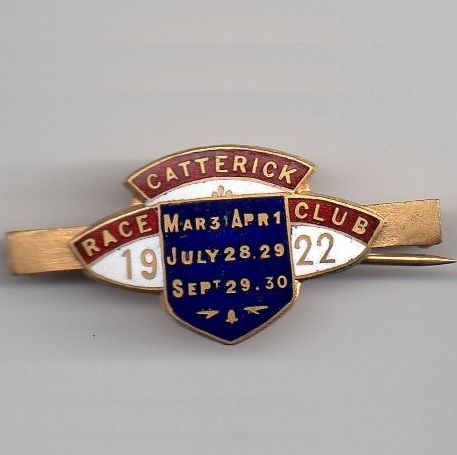 Although it is likely that races took place in the vicinity of Catterick, at Richmond, prior to 1783, the first meeting on the present day course was a 2 day meeting on Easter Monday 21st and Tuesday 22nd April 1783, with results shown below. 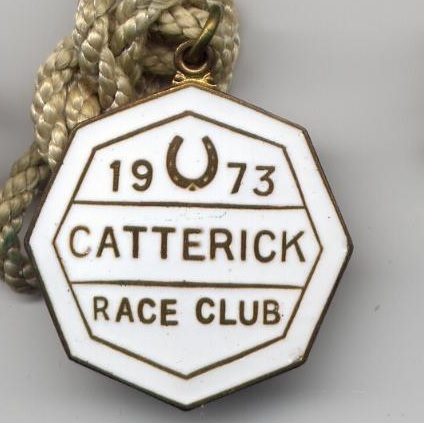 Mr Ferguson, who won the St Leger with Antonio at 33/1, was a Catterick landlord and farmer, and he ensured races continued at the course, even on days when it snowed, by sending his flock of sheep around the course to melt the snow in 1819. 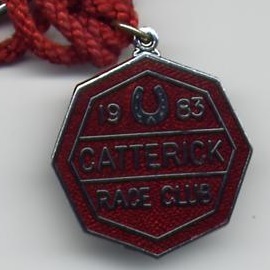 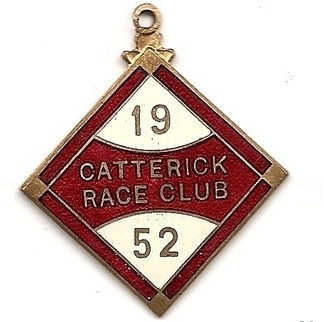 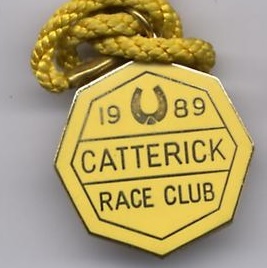 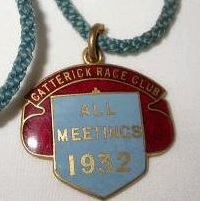 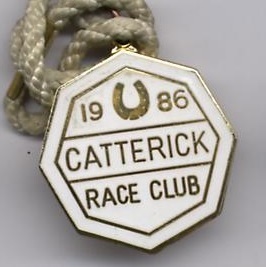 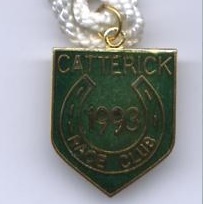 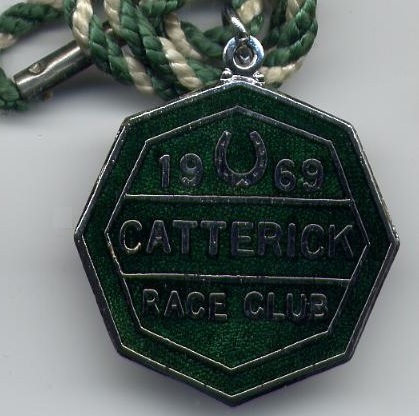 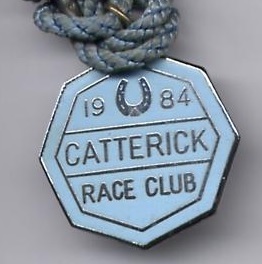 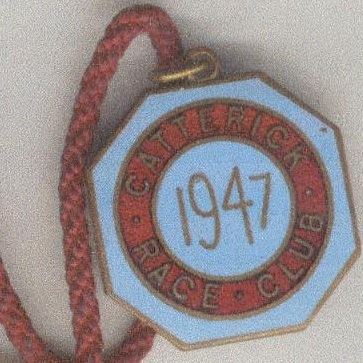 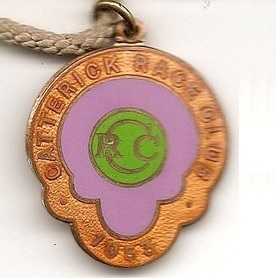 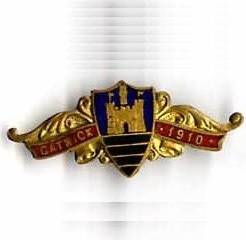 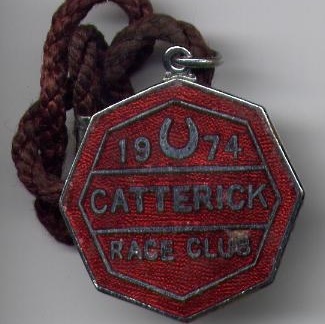 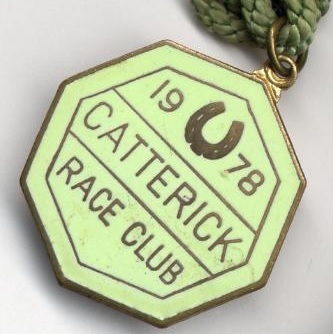 In 1848 Catterick Bridge issued membership tokens to raise necessary funds for a development programme, but it was not until 1888 that the general public were charged an entry fee. 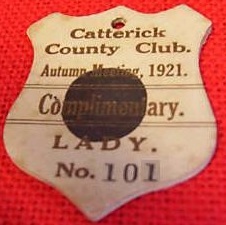 Prior to this date only those using the stand were charged an entrance fee. 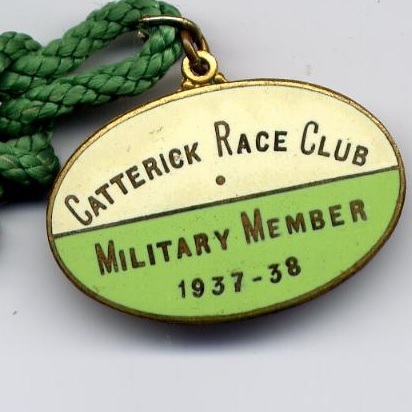 In 1946 Major Leslie Petch became Clerk of the Course, while in 1972 John Sanderson, nephew of Leslie Petch, took over as Clerk of the Course and Managing Director, working tirelessly to put the course on a firm financial footing. 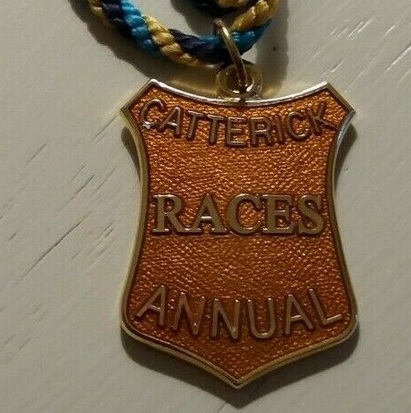 The principal race at the track is the North Yorkshire Grand National which is staged each January, with most recent results shown below. 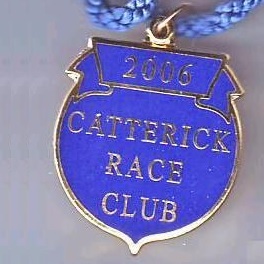 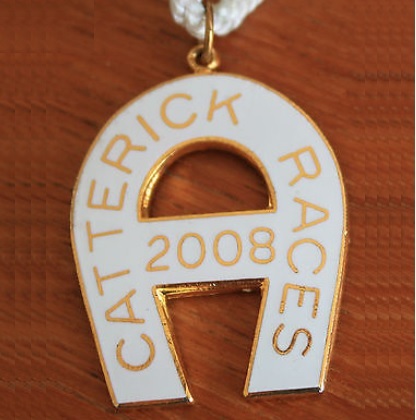 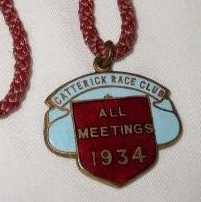 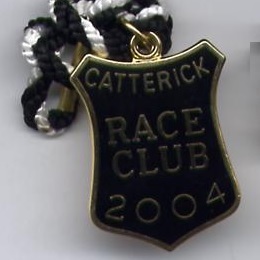 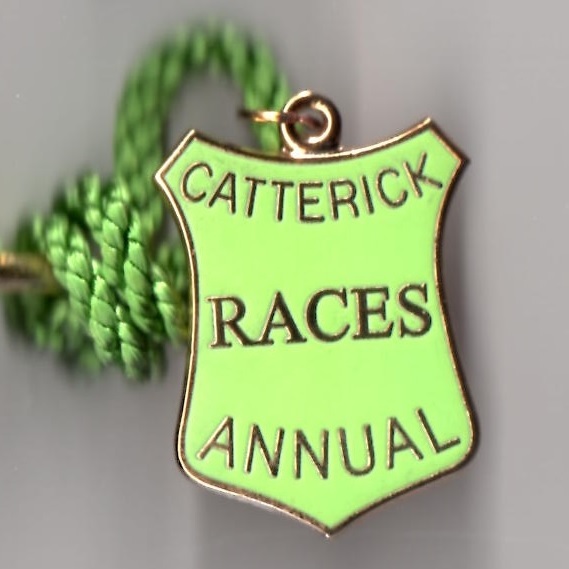 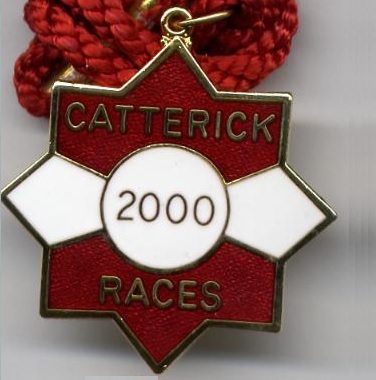 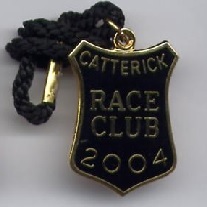 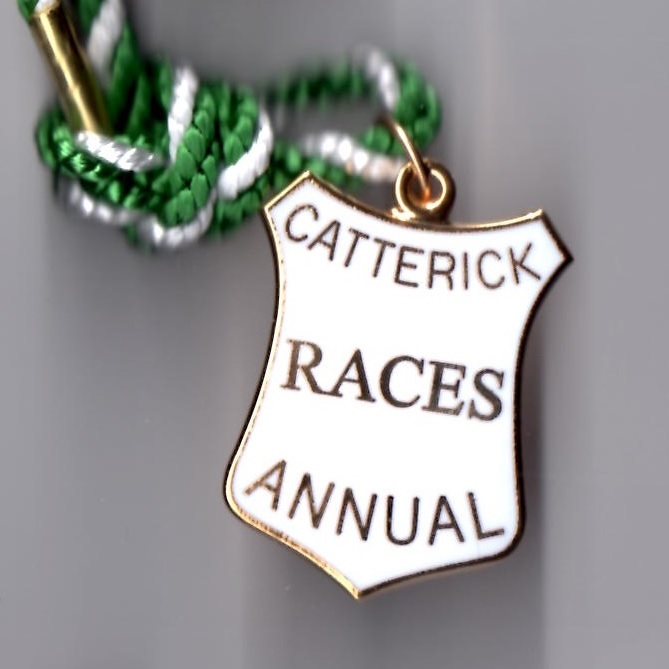 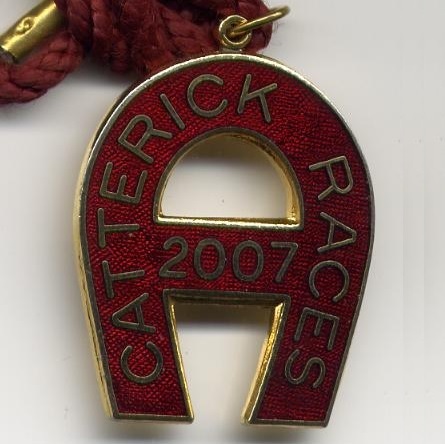 Currently Catterick offers 10 National Hunt and 17 Flat meetings annually. 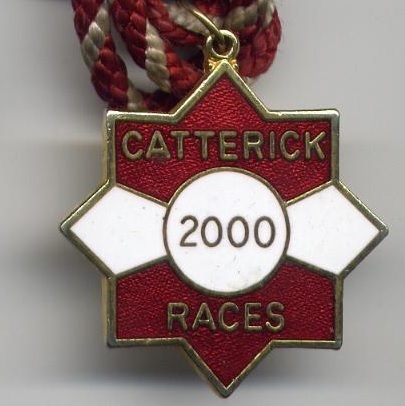 Beat a field of 4 others. 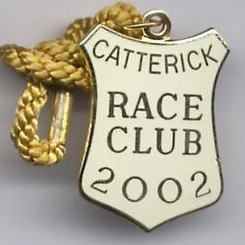 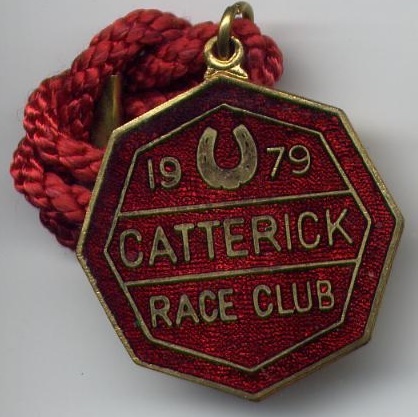 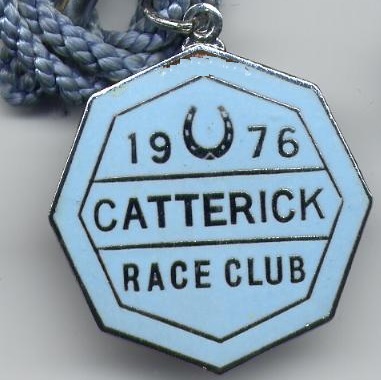 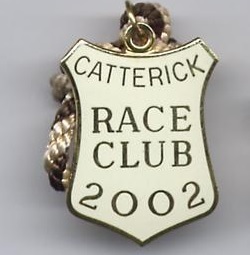 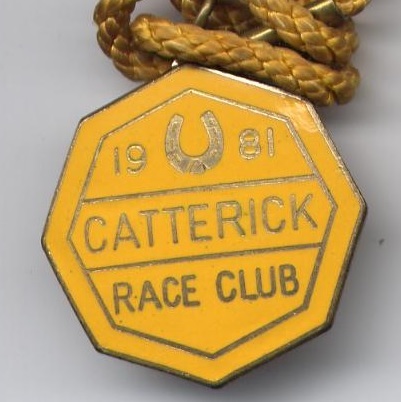 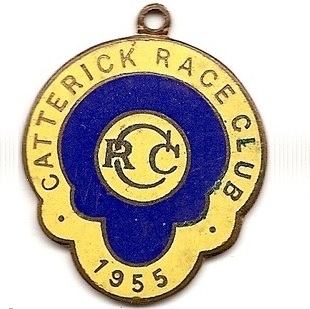 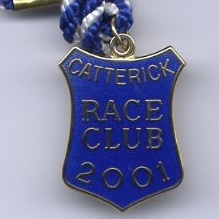 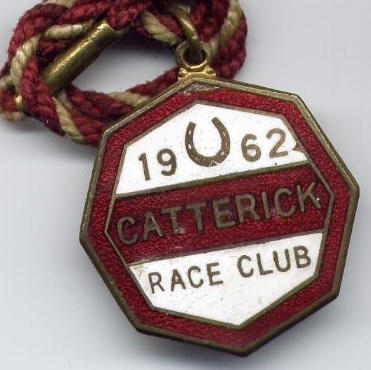 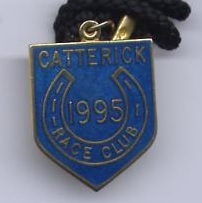 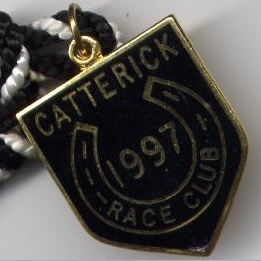 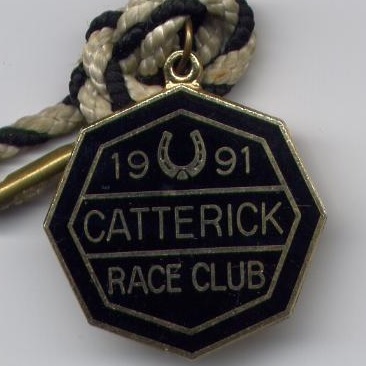 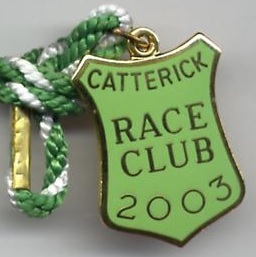 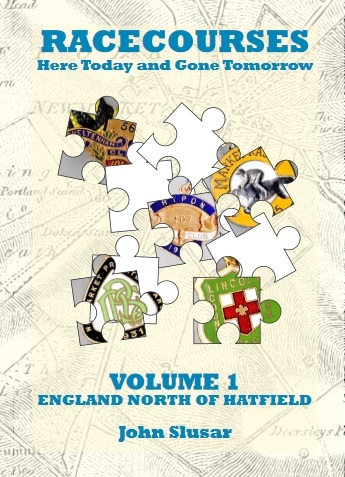 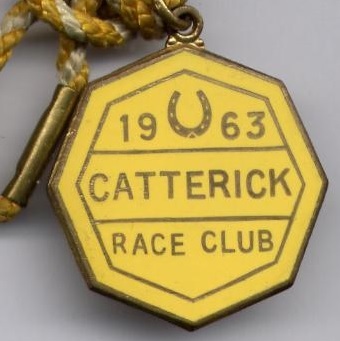 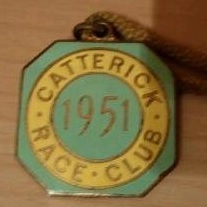 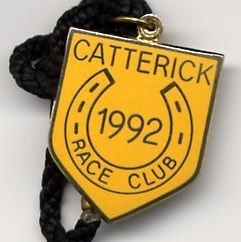 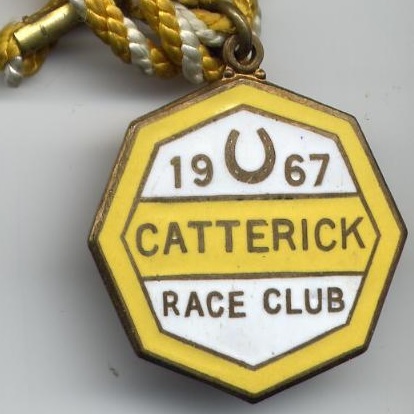 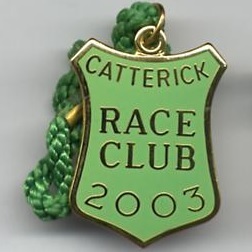 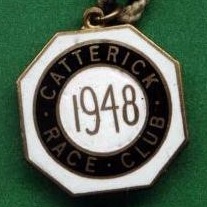 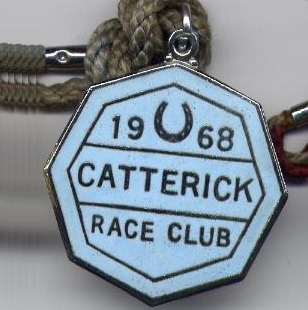 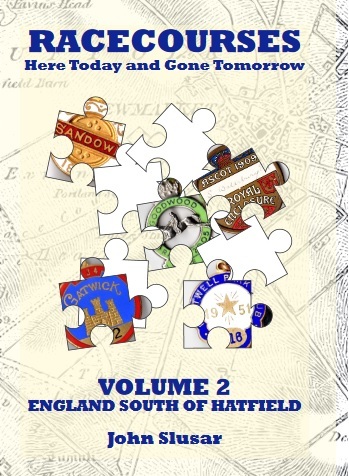 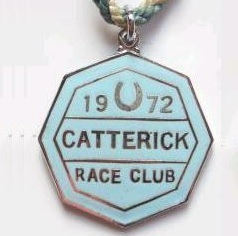 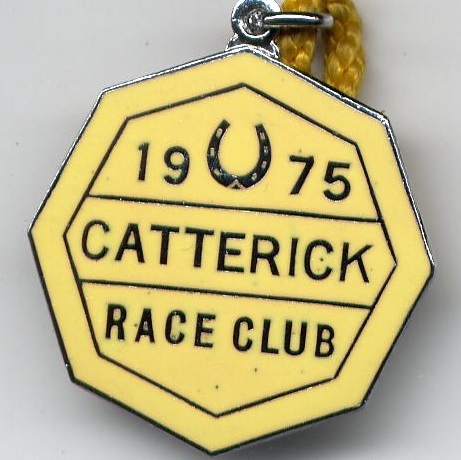 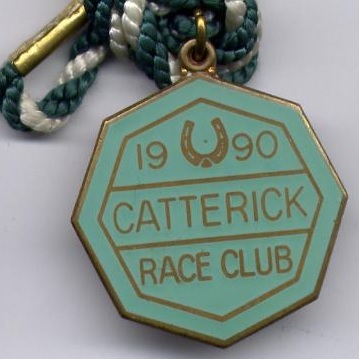 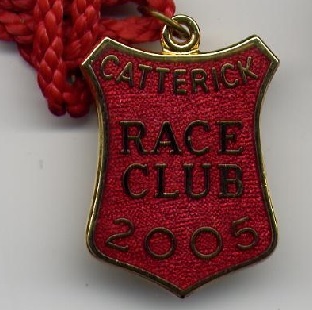 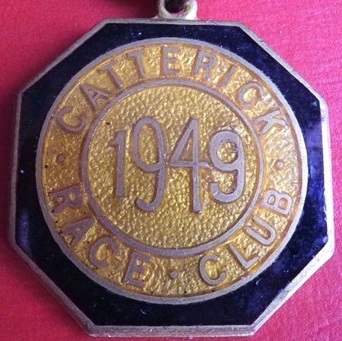 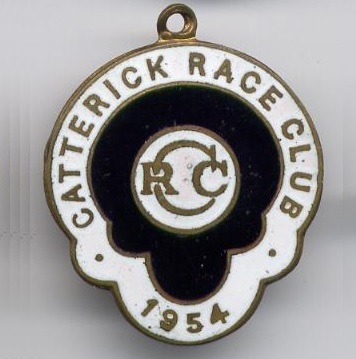 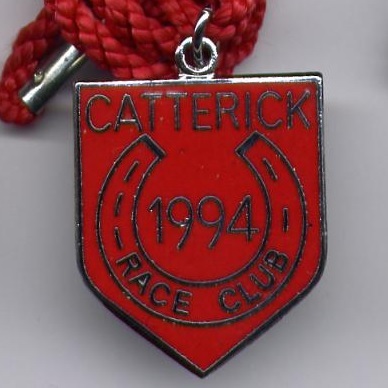 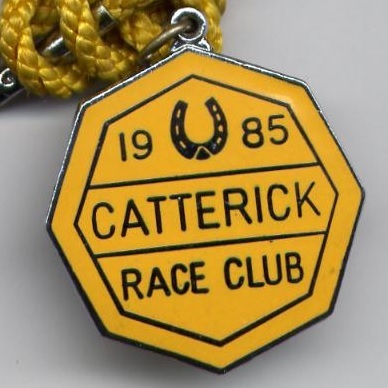 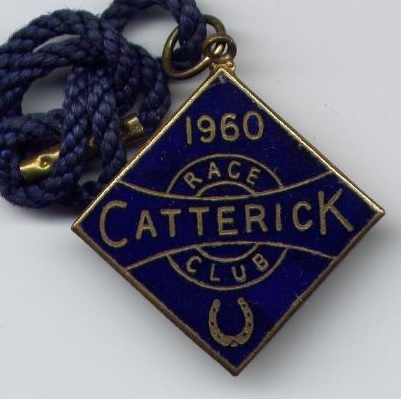 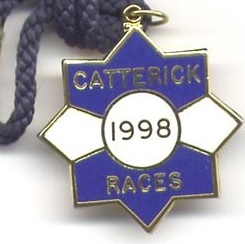 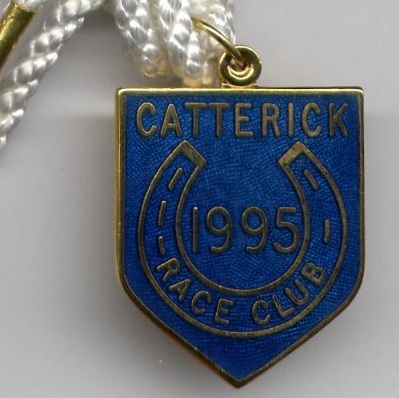 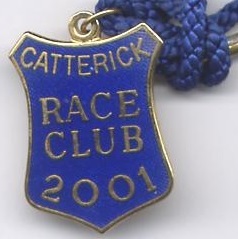 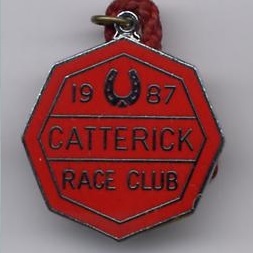 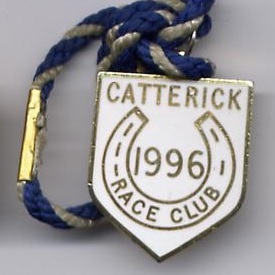 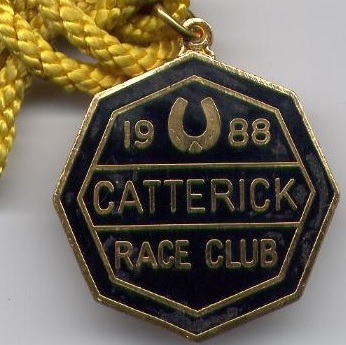 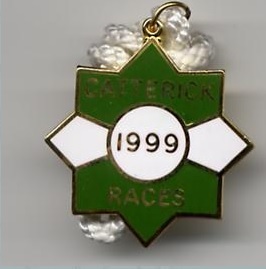 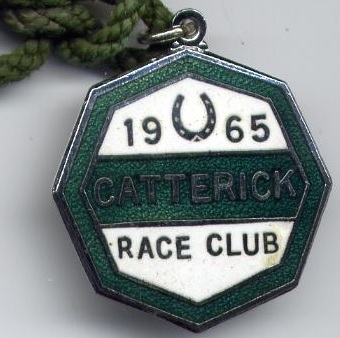 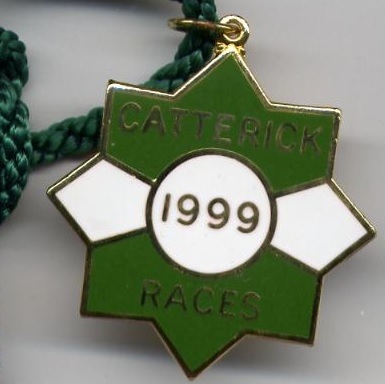 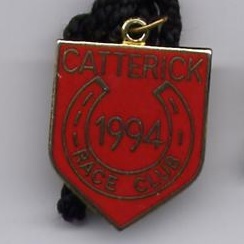 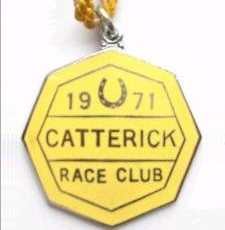 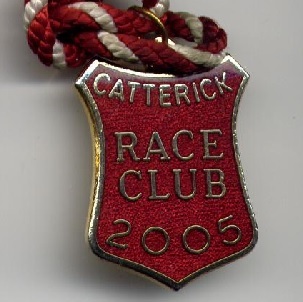 Catterick continues to thrive today, whereas nearby Richmond closed its gates for the final time in 1891. 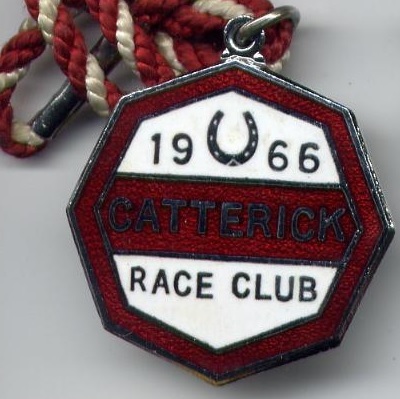 The first record of racing taking place in Richmond was in 1669 when a two-day meeting was held on Tuesday 17th and Wednesday 18th September 1669, hosting the Richmond £50 Plate and £20 Plate. 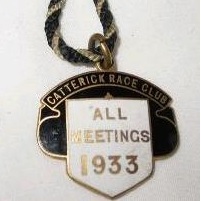 Meetings were extended to 5 days the next year, with similar Plates being contested from Monday 15th to Friday 19th September 1670. 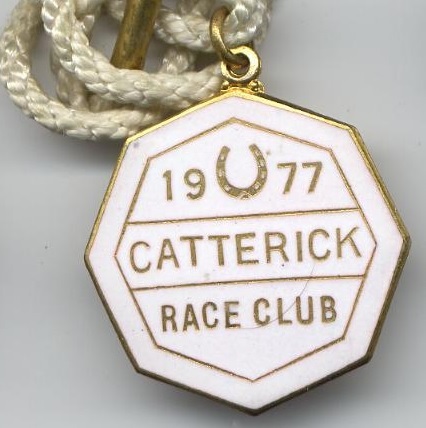 The meeting became particularly important in 1725, staging His Majesty’s 100 Guineas (called the Hambleton 100 Guineas) which was won by Bald Peg, a son of Lister Turk, owned by Mr M Tims. 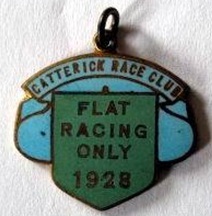 The course was an oval course of a mile and a half in circumference, with a straight run in of 5 furlongs. 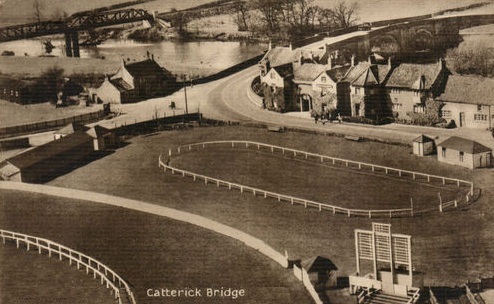 The whole course was visible from a ‘substantial’ stone built grandstand. 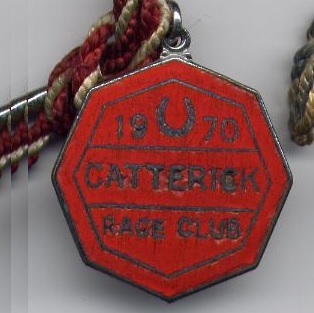 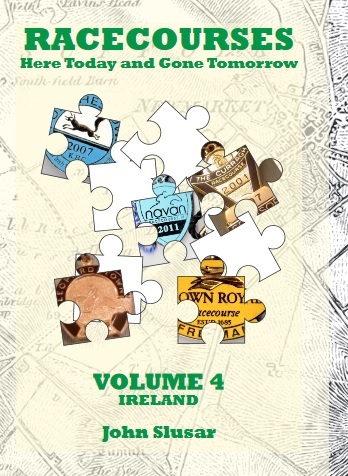 Many prominent racing stalwarts attended the races over more than two centuries, and once the Richmond Cup was introduced it was highly sought after. 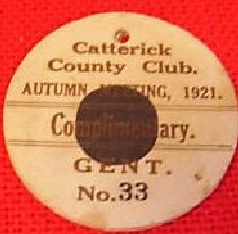 On Tuesday 14th September 1762 the Cup was claimed by the Duke of Cleveland with Dainty Davey. 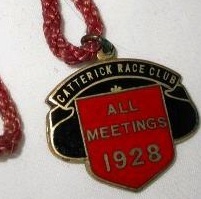 Meetings continued to be popular for a further century until the final two day meeting ran from Thursday 6th to Friday 7th August 1891. 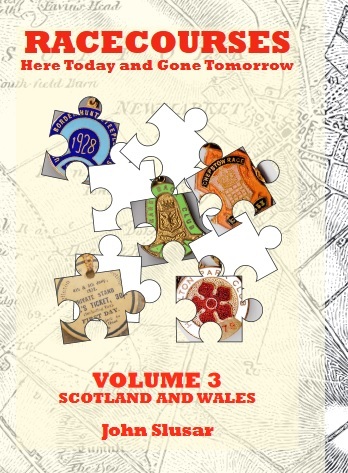  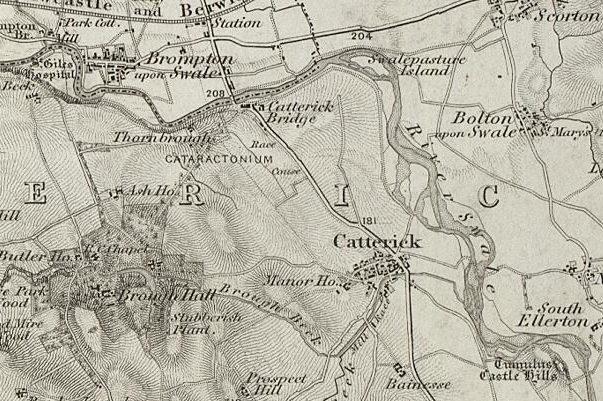 I am grateful to Ordnance Survey (© Crown Copyright) for permission to use the 1856 map shown below.